Inspired by her aunt, Marion Thorpe Mark was determined to become a teacher. 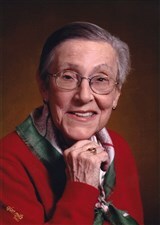 She started her journey at Boston College, where she became a diagnostician and teacher of the Donald D. Durrell Reading and Writing Clinic in 1951 and earned a Bachelor of Education in 1952. Upon obtaining a Master of Education from the institution in 1953, she advanced to become a teacher and director of remedial reading educational testing and diagnosis at Natick Public Schools and private tutor and home teacher in California. Dr. Mark then garnered experience in roles like reading instructor at McKinley Continuation High School, chair of the English Department at Ravenswood High School, honors English teacher in the San Mateo School District, reading specialist in Prince Georges County, instructor at George Washington University, curriculum specialist at Independent School District, and Advanced Placement English Teacher at Saint Michael’s Catholic Academy. During this time, she enhanced her own education with an EdD from George Washington University. Dr. Mark’s final position in her field was writing instructor and mentor to migrant students at Saint Edward’s University. She retired in 2008. One of the highlights of Dr. Mark’s journey was teaching remedial studies to high school students. Although they struggled in school, they were very talented outside of the classroom. She particularly remembers teaching a girl who was a beautiful tailor and a boy who could assemble complicated equipment. This was very inspirational to her, as she had always believed that everyone has special, admirable qualities. The culmination of Dr. Mark’s career, however, was being named Teacher of the Year by the Menlo-Atherton Student Council in 1975. It validated all of the hard work she put in. Over the years, Dr. Mark sought to share her knowledge and experiences on a wider scale. She thus authored “The Mathematical Historian” in 1986, “The Scientific Grammarian” in 1985, “Diagnostic Test: Mathematics Skills” in 1975, “The Pious Tiger” in 1964, and “Teaching Literary Appreciation” in 1953. In recognition of her hard work and dedication, Dr. Mark was honored with a leadership award from Camp Fire in 1991. She was also honored with inclusion in various editions of Who’s Who in America, Who’s Who in American Education, Who’s Who in the World, and Who’s Who of American Women. When Dr. Mark has free time, she enjoys pursuing interests like needlepoint, reading, piano, antique dolls, and family history. She is also involved with organizations like the Alliance of Pan American Round Tables, the Austin Women’s Club, the American History Club, the University Ladies Club, and the Philosophical Society of Texas.